Bienvenido a Cuba! After the long flight a private transfer will be waiting for you at the airport to take you to your very first casa in Havana. In Havana you will instantly feel the brooding, bustling atmosphere of a real capital and see the famous vintage cars pass by. Havana is a city where you can walk for hours and discover all its pretty places. Today you can take some time to recover from the flight and enjoy the first impressions! Today you will see the most interesting places in Havana by oldtimer, the best way to explore Havana! After this ride, your local guide will take you through Havana Vieja, showing you all of the city’s highlights. The rest of the afternoon you are free to explore the city on your own, and maybe enjoy a refreshing mojito! 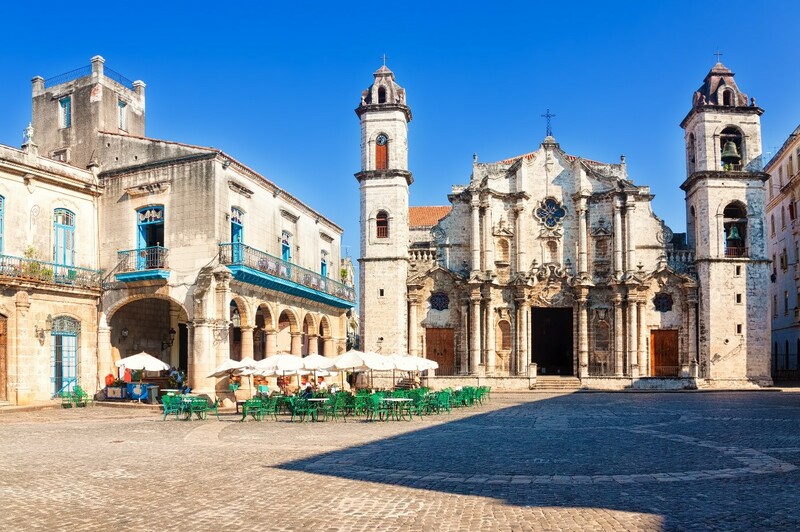 Now that you have discovered the old part of town and have seen the highlights, you can dedicate today to visiting the other neighbourhoods in Havana. You can cross the bay to visit het Morro fortress, explore Vedado or centro Havana, or just go back to beautiful old Havana and walk in the footsteps of the famous Hemingway. In the west of Cuba, in the province of Pinár del Río, lies the village of Viñales in the middle of a beautifull green valley. Here grows the legendary tobacco plant on the green fields and you’ll see rocky peaks rising through the landscape which are called Mogotes. Wander trough town and then relax in a rocking chair to enjoy the relaxed atmosphere of this quaint town. 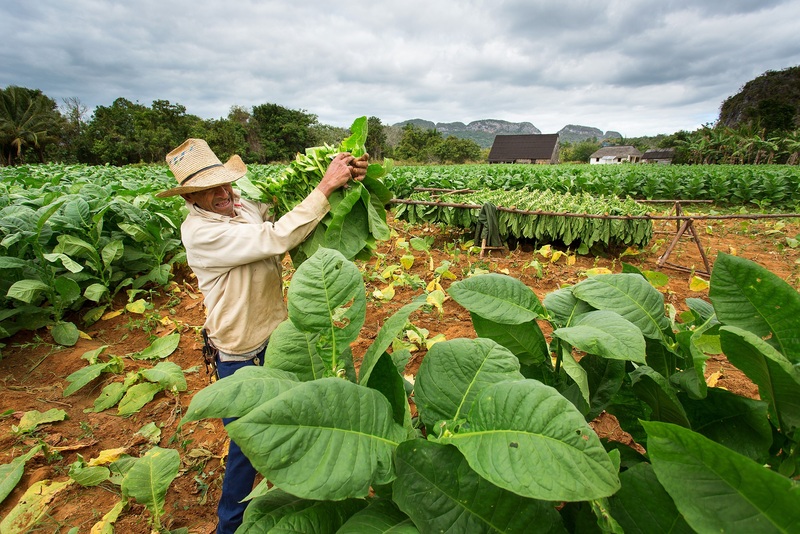 Together with a local guide you will visit a tobacco farmer who will take you on a tour around his farm as well as the surroundings of Viñales. You will learn all about the process of making in detail, and the farmer will show you how he roles the famous Cuban cigars. In the afternoon you have time to stroll around or have a nice lunch in one of the many restaurants in the village. If you feel like having an active day, you can also visit one of the Caves in the area. 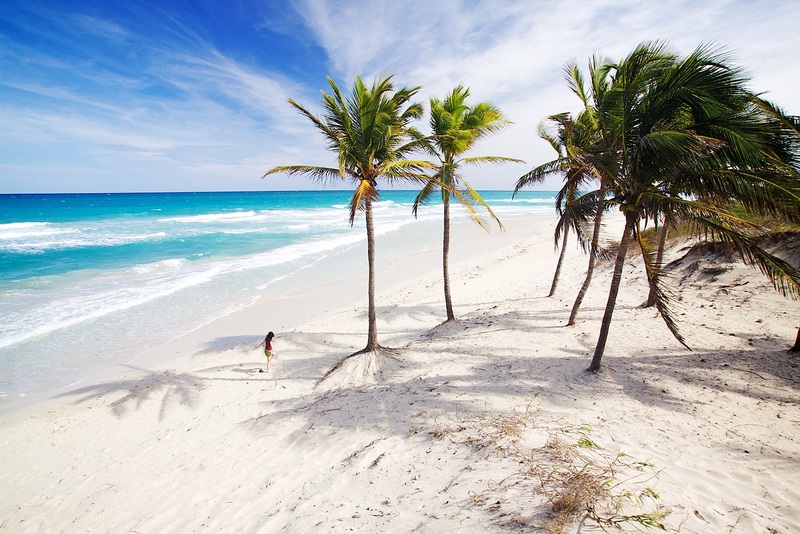 For the beach lovers… Varadero is considered to be the perfect ending of the holiday; to relax at the beach for a few days. You stay in a casa particular at just about 150 metres from the beach! This city is mostly famous for its white sandy beaches, watersports, and nightlife. What more do you want? Unfortunately it’s time to say Adiós! A taxi will bring you to the airport, and unfortunately that’s the end of the trip! Payment of the monthly invoice in the first week of the month before departure. In case of cancelation at any time you will loose the amounts charged for reservation fees & fees for changes. All cancelations must be in writing. Would you like to include accommodation in an All Inclusive hotel at the end of your trip? Do you have a budget per person in mind for your trip (excluding flights)?